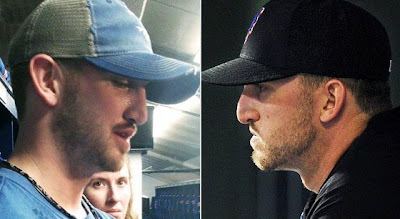 Today's tale of plastic surgery takes us out to the ballpark, where Major League Baseball player, Jonathon Niese opted for a nose job (rhinoplasty) procedure during the offseason, after former fellow teammate Carlos Beltran made a proposition to foot the bill for the operation. Jonathon Niese before (right) and after (left) nose job plastic surgery. As you can see, this photo comparison isn't the most telling before and after snapshot, however this is the only 'after' image released thus far. But it is quite apparent that the focus of the procedure was on the curvature of the tip. 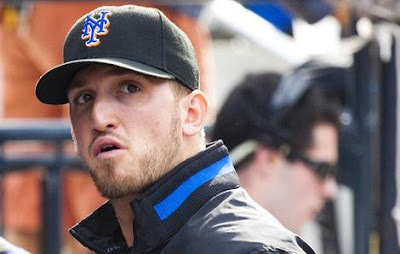 Below you can see a better snapshot of Mr. Niese before undergoing nose job plastic surgery. Niese, a three-year MLB veteran pitcher, explained to an ESPN reporter how this whole thing came about. [Beltran] wanted me to have a new nose, so he offered to pay for it. I was just like, 'All right.' Then it turned into seeing doctors and to getting it fixed. It's helped a lot with my running, it helps with my working out. As far as the mound, I'm not sure. Early reports are indicating that 'nose job advocate' Carlos Beltran has yet to cough up the cash for the operation, as promised. But something tells us he'll be doing so in the near future, seeing how this story is garnering so much attention. This is undoubtedly one for the MLB record books, as we're all but certain this is the first ever 'sacrifice-nose job' in the sports history. The story itself is somewhat mind boggling, and borderline offensive for Beltran to critique another teammates visual appearance... And then suggest plastic surgery. But then-again, if Niese is able to breath and function better, as a result of the surgery.... Share your thoughts in the comment section below!